Immigrant investment programs are becoming more popular in the globalized business world to lure foreign capital into countries and in turn, offer investors a legal residence in the country. Peru offers the opportunity for foreign individuals to be granted residency through an investor visa. In this article, we will clarify the requirements for the investor visa application and give you additional key information about Peruvian citizenship. The Form F-007 that can be downloaded for free on the ‘Migraciones’ webpage. The foreigner’s investment must create 5 new employment positions for Peruvians. Photocopy and the original version of the travelling document (Passport/Foreigner’s card). The invoice of a transfer of S/107.50 Soles made to the local Banco de la Nación. A commitment letter explaining that you will create a minimum of 5 employment positions for Peruvian citizens in less than 1 year of business operations. 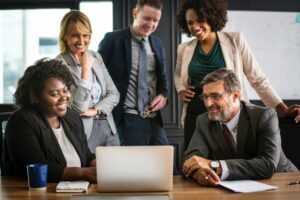 A Business Feasibility Project for a newly established company or a business plan for an already active company including the creation of 5 employment positions. A certification, stating that the money invested comes from abroad. This certificate needs to be filled at the time of entering the country and be presented at the Customs and Tax Administration Superintendence (SUNAT). This document is called ‘Declaración Jurada de Equipaje-Ingreso’. An International Redemption Card from the International Police (Interpol). In the company, you can only serve as a manager or director and need to respect the tax and working laws. Your company needs to have local workers on the company payroll. All documents need to be translated into the Spanish language by a certified translator. How long can I stay in Peru with my investor visa? – With the investor visa, you can stay for 1 year in Peru. After that time, you can extend your investor visa but only if you maintain your business and were able to engage 5 employers for your company. Is my Investor Visa still valid, if I leave the country? – Your investor visa is valid for 1 year If you have stayed in Peru for a minimum of 183 days in that year. Is my family permitted to live in Peru? – After receiving your investor visa, your family can apply for a family visa. How much time do I need to stay in Peru to be a permanent resident? – You need to reside for 3 years in Peru to be able to be considered a permanent resident. After changing your resident status from investor to permanent resident, you are able to live and work indefinitely in Peru. Am I able to transfer shares amounting to S/500,000 Soles? – No, the amount of S/ 500,000 Soles needs to be transferred from your bank account. Do I need to show a certificate of skills in the Spanish language? -There is no necessity for presenting a Spanish exam certificate. PRO TIP: If you are not able to personally come to Peru for the application, the whole procedure can be executed by a third party. This process will be completed through a certified Power Of Attorney (‘carta de poder’). If the certificate was certified outside of Peru, the Power of Attorney needs to be legalized by the country’s Peruvian Consulate and the Ministry of Foreign Affairs (Ministerio de Relaciones Exteriores – RREE). After having received your investor visa, you are able to work and live legally in Peru. As it is very common among foreign investors in Peru, they want to stay with the company they invested in or set up. Therefore, they can apply for Permanent Residency or for Peruvian citizenship in order to stay and work in Peru legally and indefinitely. The Form F-006 that can be downloaded for free on the ‘Migraciones’ website. A procedure payment of S/569.50 Soles made to the Banco de la Nación. 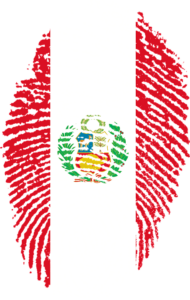 After 2 Years of legal residency in Peru, a foreign investor may apply for Peruvian citizenship. You need to be older than 18 years and have stayed a minimum of 2 consecutive years in Peru without having been outside of the country for 183 consecutive days or 183 days per year. There is an option to get special permission, in case you have left the country for more than the time permitted. Your birth certificate issued at the respective authority in your country of origin. The certificate needs to be legalized by your country’s Peruvian consulate and by the Ministry of Foreign Affairs (RREE). Your Foreigner’s card stating the payments of the Annual Foreigner Tax and your current residence. Copies from your travel documents and your passport. You need to have the minimum economic solvency of 10 UIT gross annual income accredited. The 2018 amount of one UIT amounts to S/4,150 Soles. A sworn statement about your health conditions, your residence, criminal police and judicial record. The statement needs to be filled and signed agreeing that all your information is correct. Pass the evaluation exam which consists of a Spanish Test and a Peruvian history and culture test. An updated copy of the company’s registration form that can be acquired at the SUNARP. A company operating license in force. A proof of payment of tax payments, issued at the SUNAT. A proof of the company’s investment in case of not being registered in the stock exchange market. Interested in Applying for a Peruvian Investor Visa? It may seem that a lot of requirements need to be fulfilled in order to receive your investor visa or even your Peruvian citizenship. The processes can take a lot of time due to the rather bureaucratic nature of the Peruvian immigration authorities. But don’t worry, Biz Latin Hub can provide you with personalized visa processing services so that you won’t have problems obtaining your investor visa. Reach out to our Bi-Lingual Country Manager, Leo at [email protected] to receive personalised information. Interested in forming a company in Peru? Check out this short video below for more information.